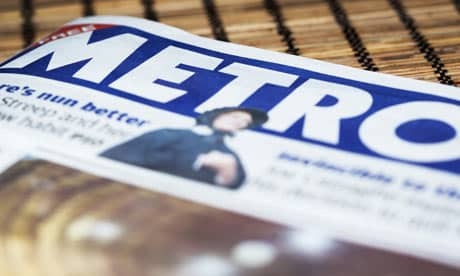 Following coverage regarding the widely discussed issues regarding violence within videogames within free UK newspaper Metro this week, reader Matthew Higgins, from Birmingham, wrote a rather humorous email in which he shared his thoughts on the matter. Having objectified that perhaps Mario Kart was to blame for his impulses in wanting to throw banana skins in the way of passing cars on his drive home earlier that week, it is all too clear that Higgins dismisses any credibility within the article that Metro published. It is a surprise, perhaps, that Metro went on to publish such a letter, yet at least it shows the newspaper is open to a little humour on occasion. In any case, we all feel the same way after a bout on Mario Kart… don’t we? !